A unisex hub for all that you want for your hair, a luxury brand catering to your stress problems while providing you the best of the services from their classified professional products, that’s Kerastase for you. 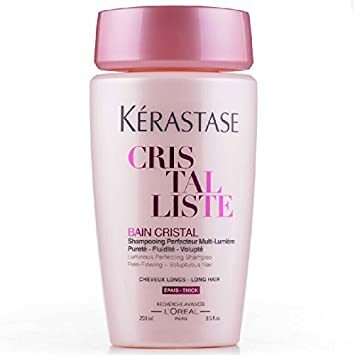 In today’s article, we will look into the catalog book of Kerastase’s various range of shampoos for anyone and everyone that would shower you with an off the runway polished finesse and keep you wanting to go back to Kerastase for more. A bottle of shampoo is such a necessity in today’s life, but often people have a problem of hair damage, hair falling or roughness because the hair products they use are either too mild or a bit too harsh for their suiting. 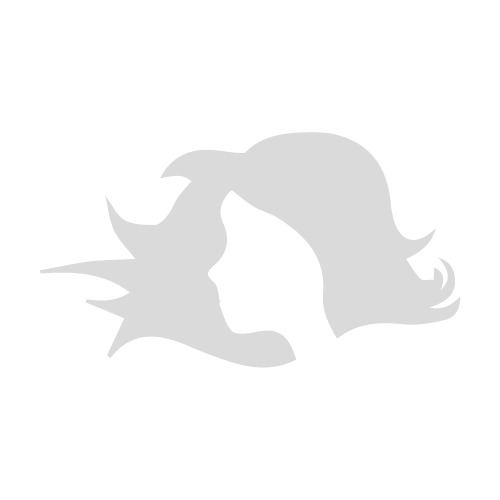 Listed are some of the best Kerastase hair shampoo you can find for your damaged hair. 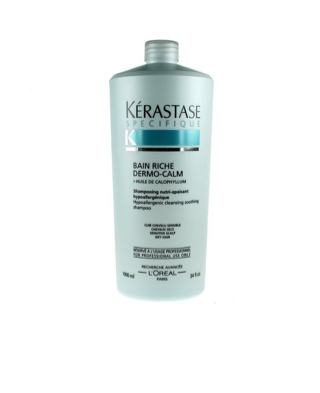 Formulated with glycine & vitamin b6 conditions & nourishes sensitized areas &damaged hair and is one of the best Kerastase shampoo. Priced Approx Rs 4000 per 250ml and rated 3.9/5. 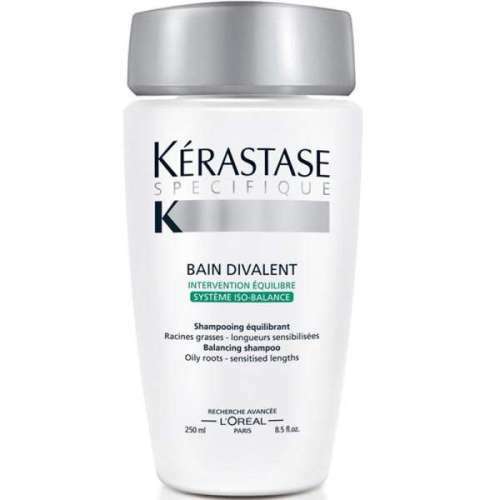 Kerastase Discipline Bain Fluidealiste Anti Frizz Shampoo is a treat for the hair that is treated with chemicals and is best for damaged hair. Hair after a specific time loses its keratin actives and starts drying up resulting in damage and frizz. Tackling unmanageability and frizz by disciplining shaggy hair is, therefore, the best Kerastase shampoo for dry and damaged hair. 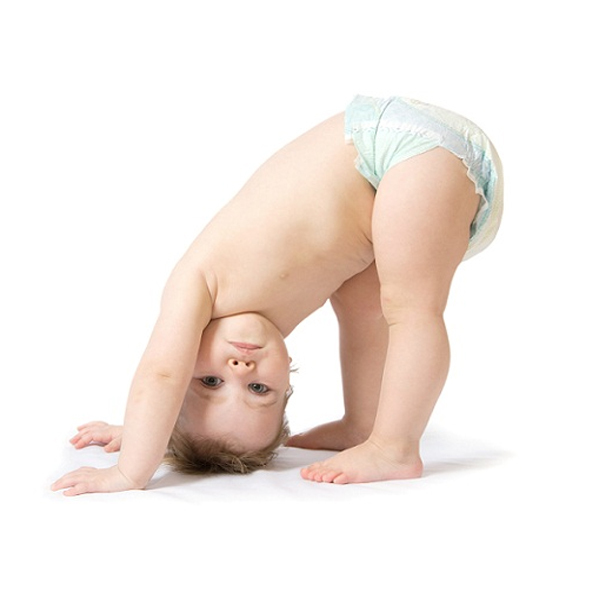 Formulated with aqua/water, sodium laureth sulfate, coco-betaine, glycerin, glycol distearate , protein, etc. 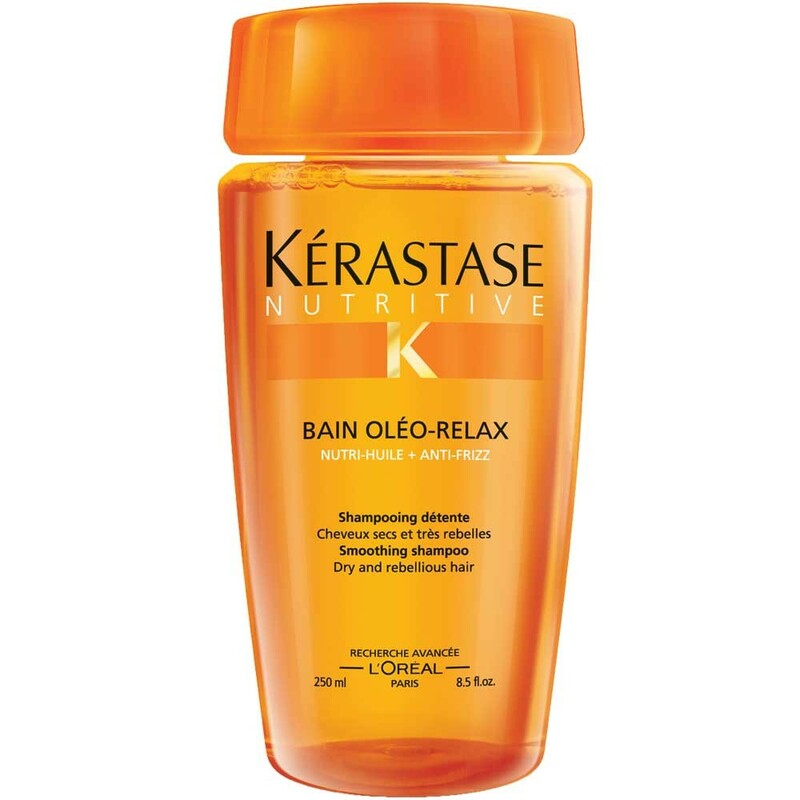 make it the best Kerastase shampoo for bain and dry hair. 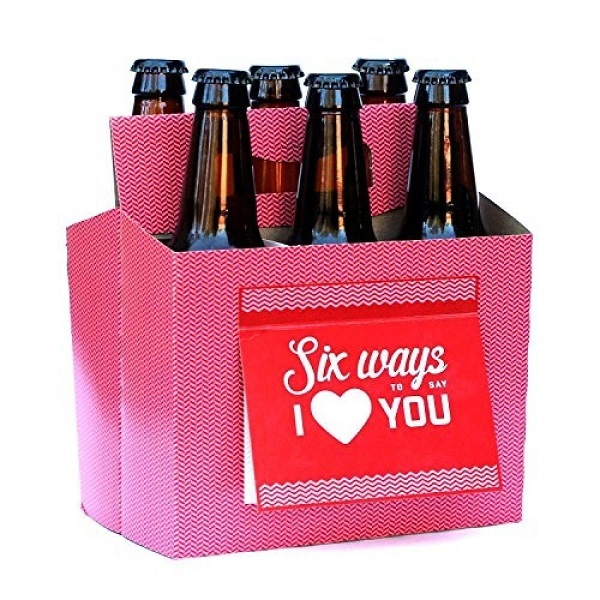 Priced Approx Rs 1350 per 250ml and rated 4.5/5. 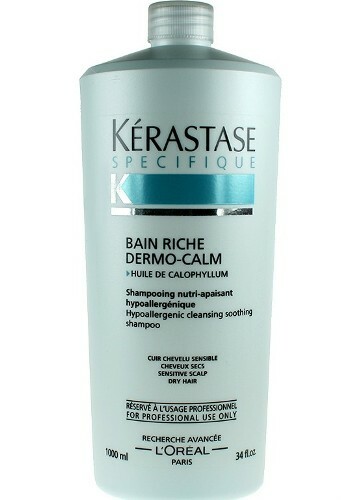 Kerastase Dermo-Calm Bain Riche Shampoo is for damaged hair that often experiences scalp irritation and itching, especially after a hair care routine. The Derma calm formulae work on the cell to provide you a cooling, soothing sensation while cleansing and styling are listing it under the Kerastase cleansing shampoo. Formulated with glyceryl cocoate • disodium cocoamphodiacetate • sodium chloride • sodium benzoate polyquaternium-10 etc. defines it as the most effective Kerastase anti dandruff shampoo. Priced Approx Rs 3500 per 250ml and rated 3.8/5. 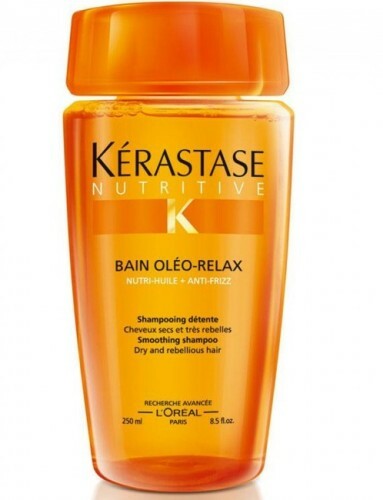 Kerastase Serum Oleo-Relax is the ideal best Kerastase shampoo for damaged hair. If you’re fed up with the dryness in your hair, then apply Kerastase dry shampoo to keep your hair moisturized throughout the day. Its key ingredients serine, alanine, oleic acid, behenic acid, palmitic acid, lysine, arginine, linoleic acid, threonine, stearic acid, proline, arachidonic, etc. will leave silky hair smooth and more manageable while boasting incredible shine with best deep conditioner for dry hair. Priced Approx Rs 1400 per 125ml rated 4.7/5. 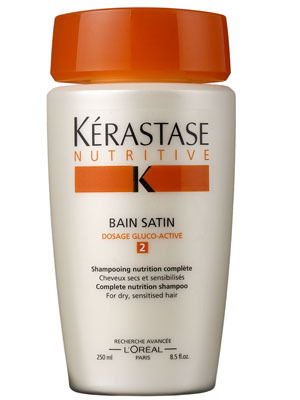 Kerastase Nutritive Bain Satin 1 Shampoo primarily focuses on providing optimum nutrition to limp, lifeless hair by nourishing and revitalizing the hair fibers to give you a complete salon-like look with healthy flowing hair. In no time your hair will be soft supple and energized using the Kerastase shampoo for dry hair. 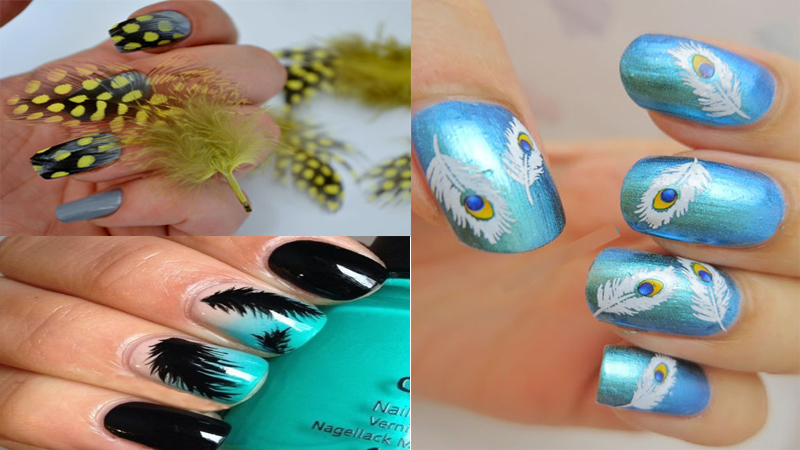 Formulated aqua/water sodium laureth sulfate • sodium chloride • dimethicone • coco-betaine •cyclodextrin • glycerin. 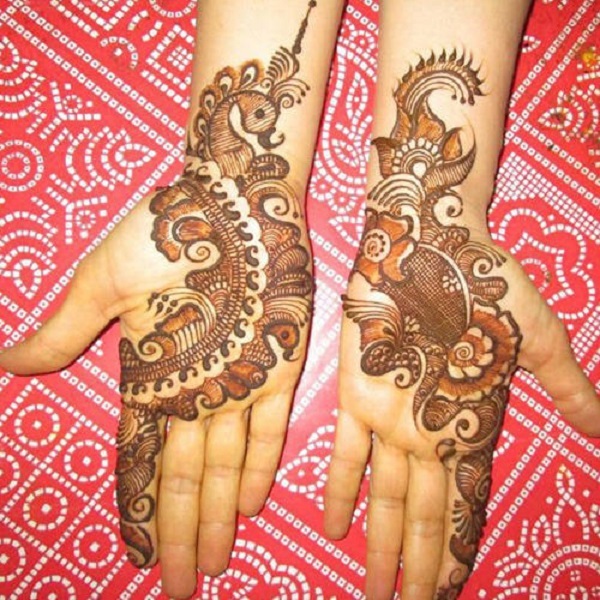 Priced Approx Rs 1500 per 250ml and rated 4.8/5. 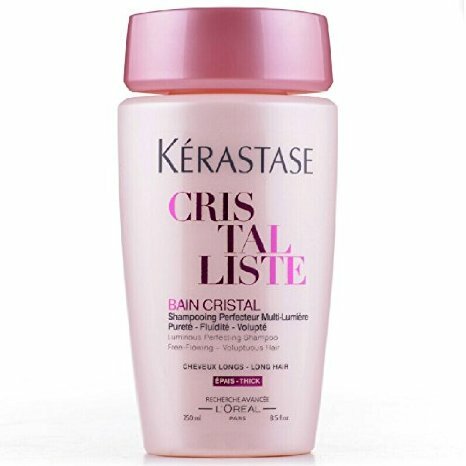 Kerastase Cristalliste Bain Cristal Cheveux Fins Luminous Perfecting is the perfect shampoo for you that would replenish the splitting ends and repairs damaged hair also manageable and nourished thoroughly inside and out. 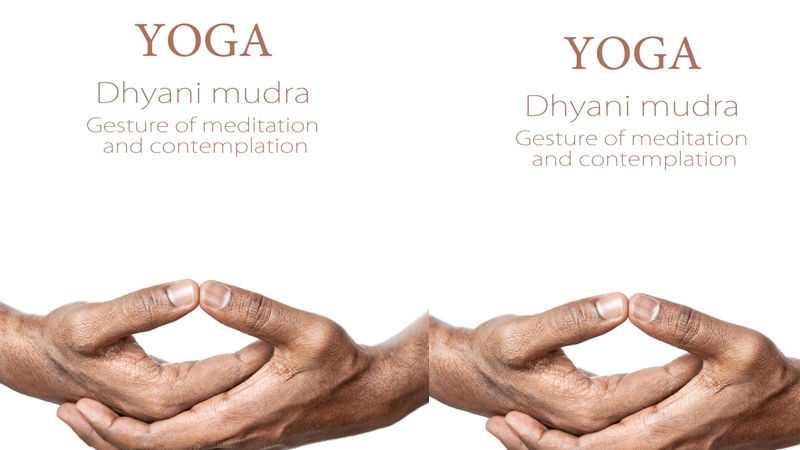 Priced Approx Rs 700 per 100ml and rated 4.2/5. 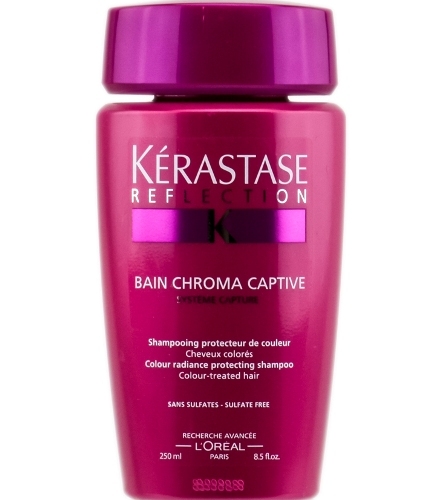 Colored hair fades, dries out and damages all by itself and to reverse all the damage done, here is the Chroma Captive in a vibrant container which especially treats colored hair reviving the lost vibrancy and becomes best Kerastase shampoo for colored damaged hair. Enriched with Water, Sodium Laureth Sulfate, Coco-betaine, Sodium Chloride, Amodimethicone, Laureth-5 Carboxylic Acid, Cocamide Mipa, etc. Priced Approx Rs 1500 per 250ml and rated 3.9/5. 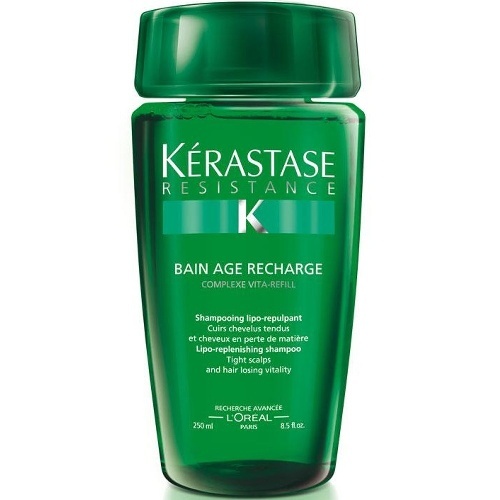 Kerastase Resistance Bain Age Recharge shampoo mainly focuses on the scalp, the real root of all your hair problems such as hair fall, thinning and damaged hair. Reversing the damage is the primary goal which it brilliantly does with a little help from the Lipo-replenishers. Key ingredients like aqua/water, sodium laureth sulfate, glycerin, coco-betaine, laureth-5 carboxylic acid, cocamide mea, isopropyl myristate, sodium chloride, ceteareth-60 myristyl glycol also makes it the best Kerastase shampoo India. Priced Approx Rs 1200 per 250ml rated 4.1/5. 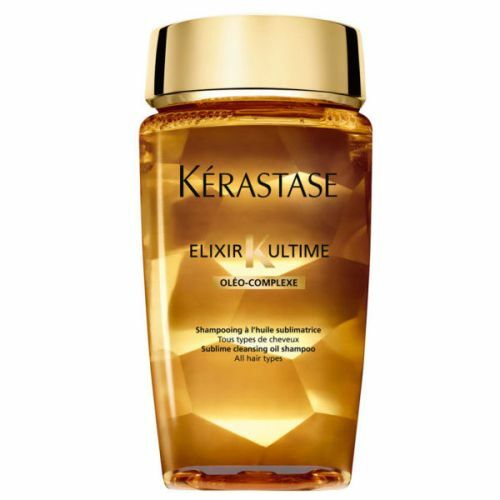 Kerastase Elixir shampoo strengthens and toughens the hair while nourishing the hair fibers stripping them of the dirt and impurity particles. A unique combination of corn germ, camellia, argan and pracaxi oils makes it the best Kerastase anti dandruff shampoo for all types of hair. Priced Approx Rs 2800 per 250ml and rated 3.8/5. Most of the hair experts advise that washing of your hair too much can damage your natural oils in the scalp and damage hair.After shampooing or conditioning if your scalp feels irritating check the label for ingredients and choose to see a doctor or change your anti dandruff shampoo.If you have an increasing blotting effect a few days after washing your hair, dry shampoo will indeed not be able to remedy that. You need to be extra careful to choose the best Kerastase shampoo as it may differ from your hair type. If we keep the technical terms aside, much like your face, even your scalp can be a victim of excess sebum production that makes hair oily and sticky and damage your hair. 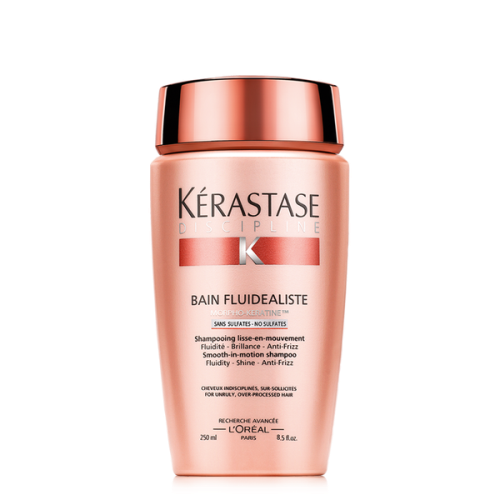 If you wish to address all these problems and also want to know the best Kerastase shampoo which suits your hair type,you now have a wide range to choose for the best Kerastase shampoo India.